RUDY VALLEE, CHARLIE WINNINGER WITH LANNY ROSS & THE SHOWBOAT CAST AND BING CROSBY WERE AMONG THURSDAY'S WINNERS. Thursday was the night that Network Radio was primarily aimed at reaching food shoppers because Friday was the busiest day of the week in grocery stores. Most grocery shopping was done by women, so it’s no surprise that Thursday’s fare was loaded with of music, movie stars and wholesome family entertainment. - and commercials directed to “the lady of the house.” . From the earliest Thursdays of the Golden Age, Rudy Vallee, (l), pitched Standard Brands’ Fleischmann Yeast and Royal Desserts while General Foods began its long running commitment to Thursday night with The Maxwell House Showboat,(c). Bing Crosby came to Thursdays in 1936 and sold cheese on his Kraft Music Hall for the next decade. Of the 18 programs or personalities with three or more Top Ten seasons on Thursday, 14 of them were sponsored by companies with shelf space in grocery stores. General Foods alone sponsored six of them - seven if Fanny Brice and Frank Morgan’s Good News and Maxwell House Coffee Time were counted as two separate programs. General’s successes are detailed on this site’s Sponsor Sweepstakes. Its failures, a few of which were spectacular, are covered in Network Radio Ratings, 1932-1953. - especially in the section titled Vengeance, Thy Name Is Jello! on page 133. NBC captured most of the ratings and grocery money through the 1930’s and World War II years. Then CBS began to employ counter-programming to the Music/Variety format with mystery dramas led by Suspense in 1945 and followed in quick order by The FBI In Peace & War, Casey, Crime Photographer and the long-running Mr. Keen, Tracer of Lost Persons which finally caught on in its half-hour format after six seasons as a Multiple Run strip. Five Multiple Run programs had three or more Top Ten seasons on Thursday night, but they’re excluded from this challenge that asks you to rank Thursday’s All Time Top Ten in order from the 18 programs and personalities listed below. Here they are in alphabetical order along with the number of times they finished in Thursday’s Top Ten over the 21 years of the Golden Age. Hint: NBC captured the first four positions while CBS monopolized four of the next five. Look below the blatant plug for my book and you'll learn how millions of Network Radio listeners ranked Thursday’s All Time Top Ten. 1/ Bing Crosby was 32 with five years of CBS network experience when he took over NBC’s Kraft Music Hall from legendary bandleader Paul Whiteman in January, 1936. After his first half-season on Thursday resulting in a fourth place finish, Crosby’s crooning and informal approach caught on in 1936-37 for second place, followed by three consecutive first place finishes plus two more in the 1940’s. Combined with one season in third and two each in fourth and fifth place, Crosby left Kraft Music Hall in 1946 with Thursday’s top total of 101 points. 2/ Rudy Vallee was only 28 when he began his Network Radio career in 1929. He was a fixture on the NBC Thursday night schedule for the next 18 seasons - less one for World War II military service. The nasal voiced singing bandleader’s Fleishmann Yeast Hour already had four years of fame when the Golden Age began in 1932. Vallee’s shows proceeded to score one first place season on Thursday, two in second place, three in third, two in fourth and three in fifth. Coupled with two mediocre seasons after returning from the Coast Guard.in 1944, his total is 87 points. 6/ Maxwell House Showboat was the epitome of Old Time radio. It was a throwback to the music and melodrama presented by dozens of touring companies on paddle-wheeled steamboats along the rivers of America at the turn of the 20th Century. The genre was revived in the 1927 Broadway musical Show Boat and the radio version debuted in October,1932. Broadway’s “Cap’n Andy”, veteran character actor Charles Winninger, 48, became radio’s “Cap’n Henry” with handsome tenor Lanny Ross, 26, as his singing co-star,. The pair headed a large cast of singers and actors including blackface comedians Pick Malone and Pat Padgett. Maxwell House Showboat was Thursday‘s Number One show for two seasons, in second place twice and seventh place in its final two seasons for a total of 46 points. 7/ Mr Keen, Tracer of Lost Persons, was originally an Multiple Run show when Frank & Anne Hummert brought it to Blue’s Tue-Wed-Thu schedule for a five year run in 1937 with veteran actor Bennett Kilpack, 54, in the title role. 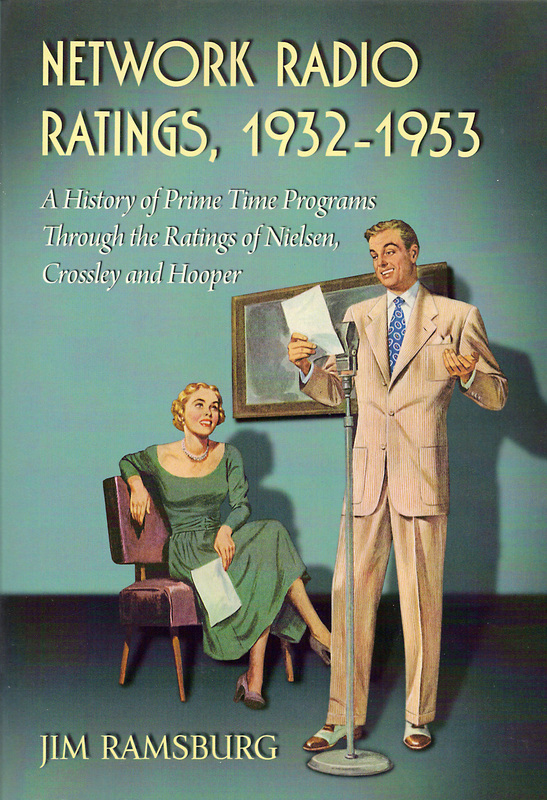 It moved to CBS in 1942, as a Wed-Thu-Fri entry, again with mediocre ratings. Mr. Keen’s fortunes began to change in 1943 when it was converted to a half-hour, self-contained Thursday night whodunit leading the CBS mystery block against NBC’s fading variety shows. By 1949 it was Thursday’s Number One program for two seasons. Combined with one second place finish and two in fourth, the formulaic mystery compiled 43 points. 10/ Father Knows Best became one of television’s most popular family sitcoms from 1954 to 1963 with Robert Young recreating the title role he originated on NBC Radio from 1949 to 1953. The show’s Thursday night radio run began slowly in ninth place. But as the show matured into more realistic situations to which audiences could relate, its popularity grew. Father Knows Best advanced up Thursday’s chart to fourth, second and finally first place in 1952-53 for a final four season total of 28 points. The remaining candidates for Thursday’s All Time Top Ten were: Burns & Allen and Casey, Crime Photographer with 25 points each, Paul Whiteman’s Kraft Music Hall and Sealtest Village Store with 23 points each, Abbott & Costello -22, Bob Burns - 16, Kate Smith - 13, and Death Valley Days - 11. Multiple Runs: If the Multiple Run programs heard three to five nights a week had been folded into Thursday’s All Time Top Ten the list of winners would have positioned Lowell Thomas News in a three way tie with Fanny Brice & Frank Morgan and Major Bowes Original Amateur Hour for fourth place with 57 points and Amos & Andy just behind the three in seventh place with 51.